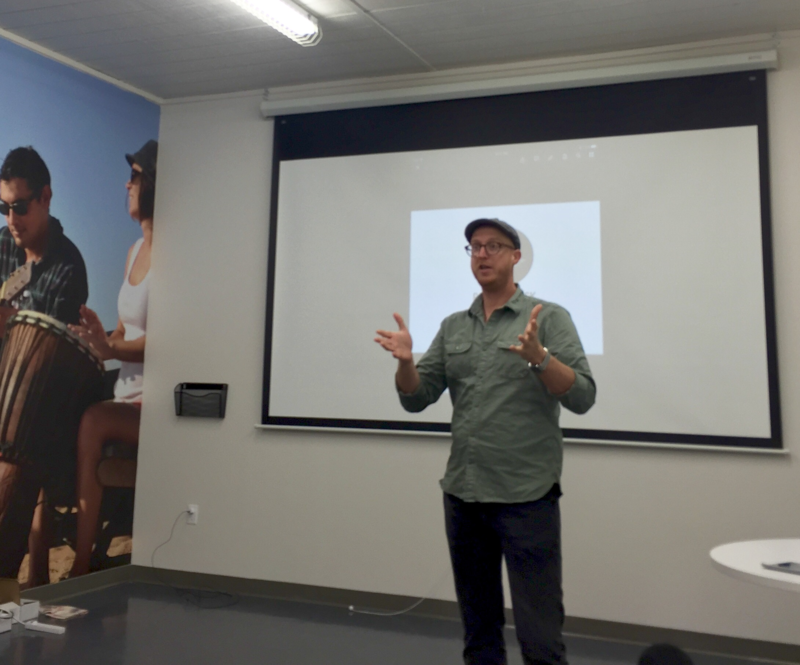 Better Block Foundation Founder Jason Roberts presenting his work at Domi Station. Tallahassee could be the site of a new community improvement project. The Better Block Foundation out of Dallas, Texas, has been giving old neighborhoods facelifts with a hands-on approach for over a year. Tuesday, the organization’s founder, Jason Roberts, arrived in Tallahassee to scope out its potential. Roberts grew the Better Block project from Dallas, where he and his community banded together to paint bike lanes, build outdoor seating and line streets with greenery. One year later, Roberts got a grant of nearly $800,000 to do those things all over the country. And he says Tallahassee has room for improvement. Roberts has met with the City’s Planning Department, but he says no agreements have been made.